Full itinerary for our sacred and historical France tour with historian Henry Lincoln and cultural expert Allysha Lavino. 10 days of travel - history, mystery, Rennes-le-Chateau, Knights Templar, Mary Magdalene, Cathars, sacred geometry, the real DaVinci Code, French culture, food, and wine. Our Adventure begins in Toulouse, where our coach whisks us off to the fairytale castle of Carcassonne. Across Time’s drawbridge, we sink into the past in this fortified medieval city. Wine and conversation flow during a decadent French dinner followed by a quiet stroll round the ramparts. Our home-away-from-home ~ Rennes-les-Bain, France. We begin the day with a tour of the feudal fortress and basilica of Carcassonne, exploring the history of the Cathars and Albigensian Crusade. Settling into the slower pace of country life, we take the winding way to the 8th century Abbey of Saint Hilaire nestled in the heart of small-town Occitania. This evening we head on to Rennes-les-Bains where a five-course, home-cooked meal awaits us. Le marché, a staple of French life. The local outdoor market has taken over the medieval village of Mirepoix. A staple of French life, le marché is an unmatched sensory spectacle! We delight in this delicious tradition as we troll the stalls in search of unique local goodies, souvenirs, and gifts. After an optional lunch and a visit to the basilica, we sneak off to a small parish church built into the heart of a mountain. Up the hill to the mysterious hamlet of Rennes-le-Château where the story that inspired The Da Vinci Code comes to life. We visit the coded church, learn to follow the clues, and see for ourselves the secrets that have been hidden throughout the centuries. Wine Tasting at Domaine de Mayrac. Tracing the mystery through the landscape, we visit natural grotto on a very specific spot and enjoy a lovely picnic near the ancient zero meridian. A leisurely afternoon at a local vineyard lets us taste the famous sparkling wine of this region, ancestor of Champagne and touted by the locals as far more delicious. Join the Adventure and make your own memories! 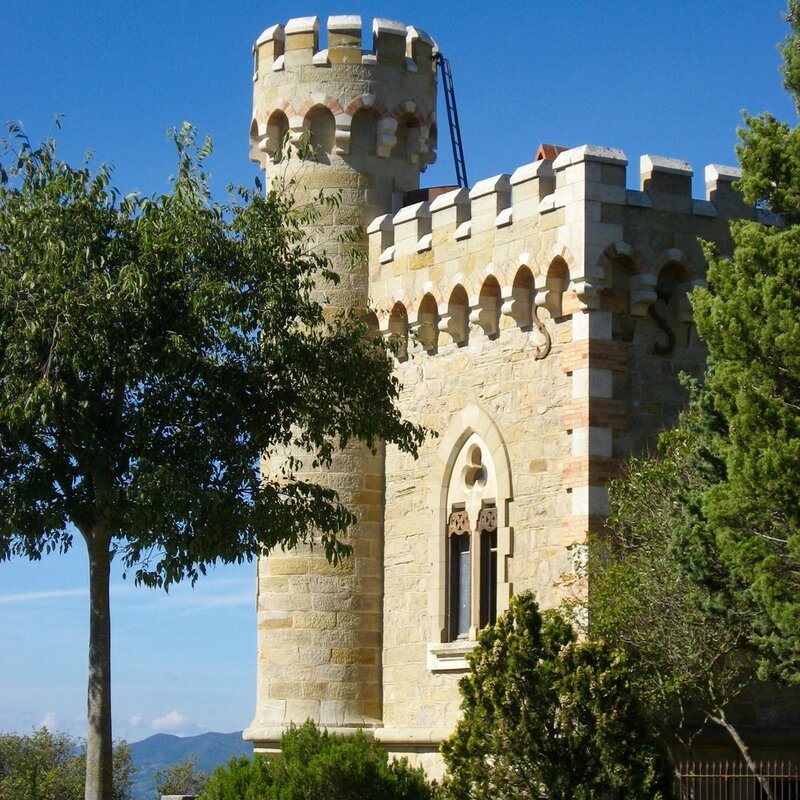 A beautiful drive leads us to the idyllic castle of Puylaurens, one of the eagle’s nest Cathar Castles found throughout the Languedoc. On to the Gorges de Galamus, a peaceful hermitage nestled on sheer cliffs and a stop at the church of Bugarach, a quirky town set at the foot of a mystical mountain. A relaxing morning of free time in Rennes-les-Bains. Sit by the river with a book, enjoy the local hot springs, or take a hike through the surrounding countryside. Then we truly step into the secrets of the region to experience the magic of the ancestors for ourselves with a visit to a hidden hamlet marked by the ancient Celts. We finish our day at a delightful restaurant in the old Bishop’s Palace of Alet-les-Bains. This region is famous for healing springs! Filling our water bottles at the mineral-rich spring of Campagne-les-Bains, we head off to the ancient halls of Puivert castle, once a gathering place for travelling Occitan minstrels. This afternoon we embark on a secret Adventure buried deep in this stunning countryside. Wandering into the forests of fée, the path before us is full of surprises. 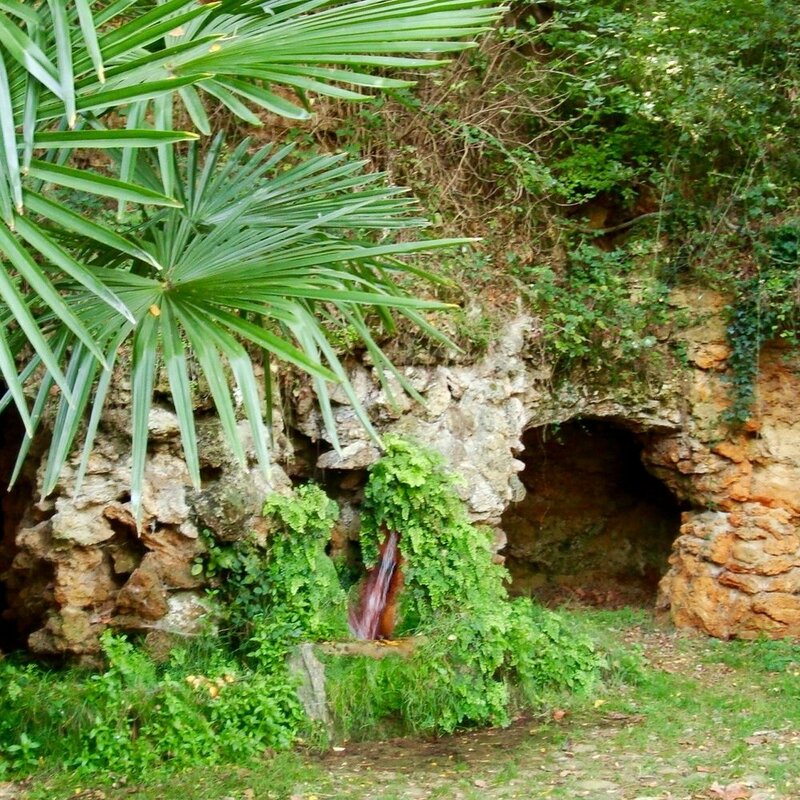 At the the Fountain of Fontestorbes, we discover a beautiful cave and waterfall with strange behaviours. After coffee or tea near the Fountain, we are off to Montségur, legendary home of the last Cathars. 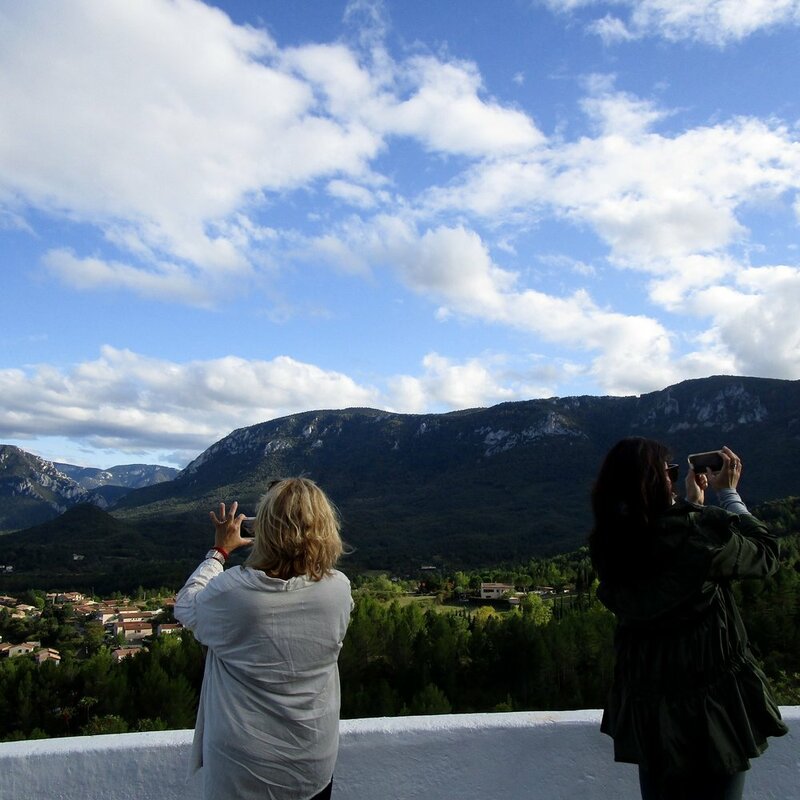 We enjoy the mysteries, history, and landscape before heading back for a gastronomical paradise of traditional French delights! Packing up to head home, we find ourselves enlivened and inspired by these days in the Languedoc. We wave farewell to our new friends and the stunning landscape of Old Occitania as our coach carries us back to present day and the airport in Toulouse.